Why place a tax-free investment in a tax-advantaged account? There are very few rules in life that are absolute, but under the tax laws that have been in place for years, there is one mistake that you, as a new investor, should never commit. I see it all the time. What is this fiscal fallacy? Holding tax-free municipal bonds in a tax-sheltered account such as a Roth IRA. Remember that the major benefit of your Roth IRA is that virtually all income earned within its protective shell is free from taxes. There are no dividend taxes, no interest taxes, no rent taxes, and no capital gain taxes. But the yield on municipal bonds is already tax-free. So there's no additional advantage to putting them in a Roth IRA. It's worth noting that with a Roth IRA, most investors can only contribute $5,500 annually. Given that restriction, it's best to limit your contributions to investments that would otherwise be taxed. Here's some math to help illustrate why placing municipal bonds in a Roth IRA is a bad idea. It is a truism that tax-free municipal bonds yield less than their taxable counterparts (corporate bonds, Treasury bonds, et cetera). To put them on parity, you must calculate something known as the taxable equivalent yield, which you can read more about. As of June 2018, 20-year AAA corporate bonds, which are fully taxable, are yielding 3.85%, while 20-year AAA tax-free municipal bonds are yielding 2.95%. That difference of nearly 1% is not insignificant. Imagine you had $100,000 in your Roth IRA, built over years of carefully saving money. In this case, you would be looking at two bonds, both of which are rated AAA, and both of which mature in 20 years. Yet, the corporate bond will pay you $3,850 in interest annually, while the municipal bond will pay you $2,950 in interest annually. No rational person would give up the $900 in free cash that is sitting on the table. The power of your Roth IRA is so great that it essentially makes the corporate bonds tax-free, too! There is a type of portfolio management strategy called asset positioning that factors in these sorts of situations, many of which rely on a Roth IRA. By looking at where you generate your passive income, and looking at which types of income are taxed based on how they are held, you can work to maximize the total after-tax cash that you can keep. Picture yourself with no assets except a $500,000 portfolio with $250,000 in a Roth IRA and $250,000 in a taxable brokerage account. You have only two investments. The first is a collection of bonds that pay 5%, or $12,500 total each year. The second is a collection of blue chip stocks that pay no dividends. If you put the non-dividend paying stocks in the Roth IRA, held the taxable bonds in a brokerage account, and you are in the 24% bracket, you are going to end up with $9,500 in cash income per year. However, if you switched those two investments and put the taxable bonds in the Roth IRA and the non-dividend paying stocks in the brokerage account, you are going to get to keep all $12,500. That is an extra $3,000, or 24% more money than you would have otherwise had, all because of how you held your investment positions. And savings could be even larger if you are in a higher tax bracket. These small things matter, especially over a long period of time. An extra $3,000 invested at 7% for 30 years is nearly $300,000. It pays, quite literally, to keep an eye on not just the specific assets you own, but where you park those assets. 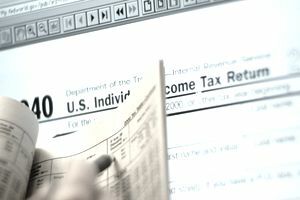 Although everyone's individual circumstances are different, and should be taken into account when a general rule of thumb for Roth IRA investments is that you should strive to put the least tax-efficient securities and assets in the IRA itself, while holding the most tax-efficient securities and assets through other, more standard account types, including direct registration, DRIPs, and brokerage accounts. Assets that tend to appreciate are inherently tax-advantaged compared to those that throw off most of the wealth creation in the form of cash. Regular corporate bonds are often a good choice for a Roth IRA, as are high-yielding dividend stocks and real estate investment trusts.